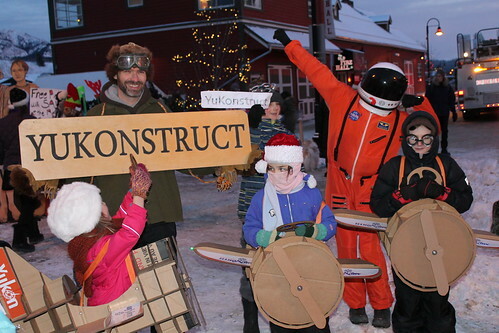 YuKonstruct has been keeping us really busy! 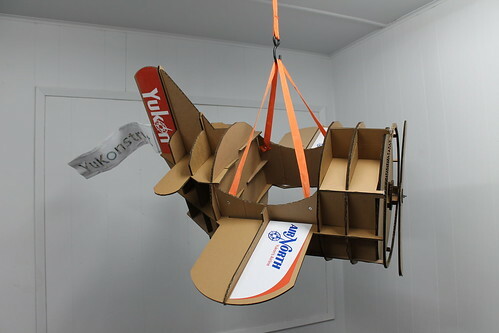 Inspired by a cardboard plane costume I saw online, I talked Chris into helping make YuKonstruct's Winterval Santa Clause Parade entry. 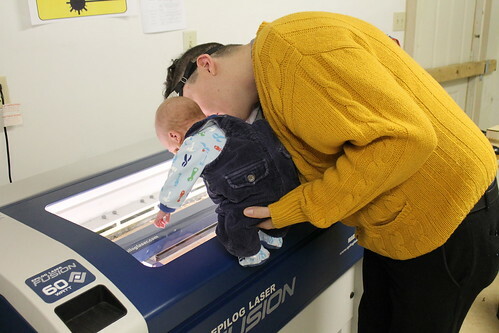 Chris did all the design work and we built a small prototype at home before using YuKonstruct's laser cutter to cut out all the full sized pieces. 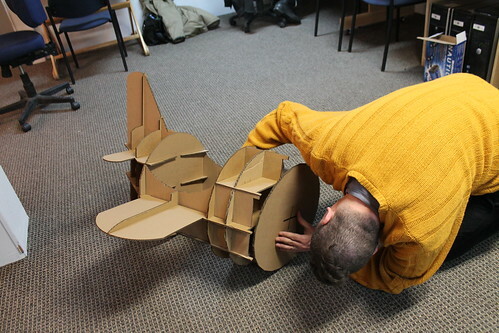 It was a great way to use up a bunch of the cardboard we had left over from our ongoing renovations! Chris' work on the planes even landed him in the news paper. 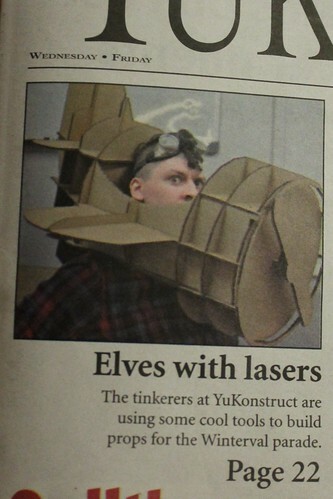 "Elves with lasers" might be my favourite headline ever. We took a quick break from assembling planes to host YuKonstruct's Christmas card workshop and Chibitronics build night this past Thursday. 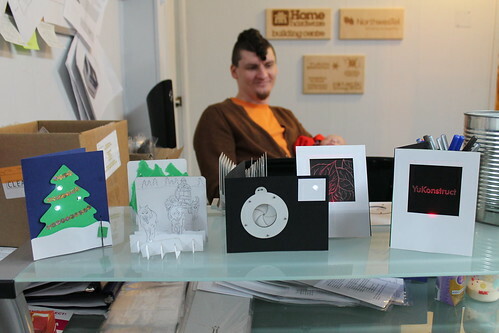 We rejigged some of our past cards to make craft kits for the event and made some cool new cards that light up. 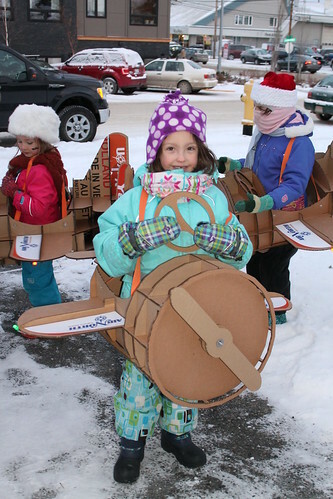 Yesterday was finally the big day for the parade and the planes were a huge hit! Air North, liked the idea so much when they heard about our planes, they gave us custom decals for the wings and tails, and they're bringing the planes down to Vancouver for the Santa Clause parade there.